It’s extremely cold – the cold wave has crossed the Atlantic. 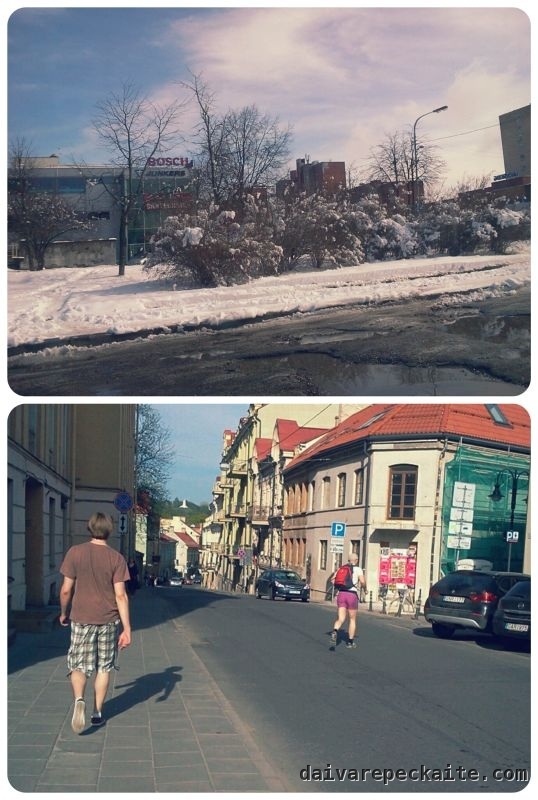 Last year I went somewhere warm around this time… I wish I could do the same now. 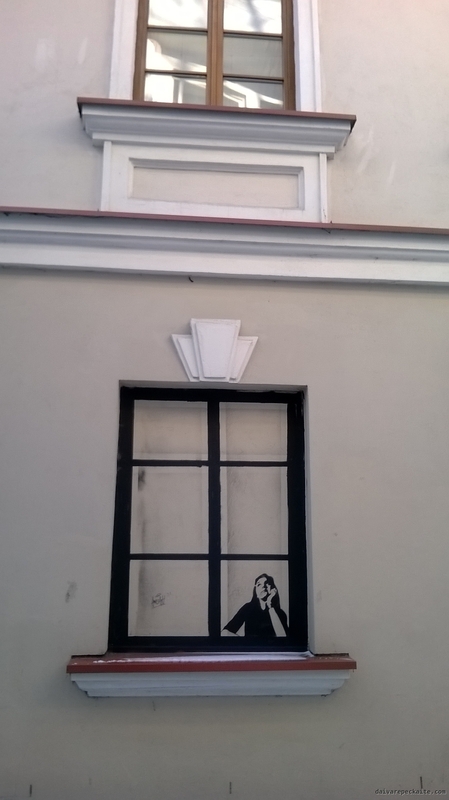 This entry was posted in Travel blog and tagged art, dreamy, graffiti, street, vilnius on 2014-01-18 by Daiva. This entry was posted in Travel blog and tagged architecture, fall, nature, tourism, vilnius on 2013-10-13 by Daiva. The Museum of Applied Art in Vilnius hosts Alexandre Vassiliev’s private collection of art nouveau fashion (1890-1914), plus a little bit from 1840s to 1920s. The guide said that due to Vassiliev’s love for Vilnius the museum didn’t even have to pay to host it. Tourists are probably not that interested in international fashion, so the museum is busy welcoming groups of Lithuanians, almost exclusively women, who are curious to see the works from the so-called belle epoque so close. It isn’t forbidden to take photos, so some people pose next to the fancy dresses. The exhibition will stay until November. This entry was posted in Art and tagged accessories, art, art nouveau, culture, fashion, vilnius, women on 2013-04-27 by Daiva. Let It Be Night is an annual festival in Vilnius (see post two years ago). It brings together professional and amateur artists to perform at night. Most of the events are free of charge, and many happen outside. The idea is to make Vilnius more of a night city, which it is not. The festival takes place in June, just before academic year fully finishes. This year more than 100 events were promised, with theatres joining in to an unprecedented extent. The whole programme sounded very promising, and, despite the short rain, many people took the advantage to spend the night in the city centre. The Lithuanian media noticed both the success of some events, drawing large numbers of people, and much less success to provide adequate security. Most of the events were taking place at the same time in different parts of the city centre, so one had to really make choices. However, I knew from my experience from the previous years that some of the events can be cancelled or simply boring. So I made a list of everything I would be interested to see. In the end, Let It Be Night turned out into a late-night hangout for me and my friends rather than a culturally intensive festival. I did not register to any events that required registration, just to be on the safe side if the rain is unbearable. Weather in this season is unpredictable. I also did not even look at events taking place in early evening, from 6 to 8 pm. I heard testimonies that some of them were very good. We started from the Moniuska square, a concert of “gongs and other archaic instruments”. It was a meditative performance in this partly lit space, creating a special mood, but not something that would invite to stay very long. As my friend observed, you would need to sit down and get into a trance. We expected our next stop to be a sirtakis session at the Greek restaurant on Pilies street. I read that people who went to the first part, starting at 8 pm, really enjoyed it. But my friend, who went to see the second part, expected to start at 10 pm, was disappointed to see nothing happening. So we decided not to check it again and went to the rock’n’roll disco on Sirvydas square (an alternative translation for the Lithuanian ‘skveras’, which clearly comes from ‘square’, is ‘public garden’. The Lithuanian word denotes a small public space with trees, whereas the original English word can refer to a completely paved public space, which is usually large. Yet most Lithuanian guides in English don’t bother and just translate it as ‘square’). The disco was the highlihgt of the festival. The atmosphere was great, there was just enough space for people of various levels of proficiency. The space is really well suited for an outdoor disco at night – it is quite removed from the busy Pilies street, but near enough to attract passers-by. I think he bar that is in this space should consider exploiting this success. My friends noticed that Cafe de Paris, the main hipster hub, also hosts a nice party. People were dancing, but it was not as crowded as it usually is. We stayed there for a while, although I thought we had rather used the opportunity to attend events outdoors. Since the Town Hall is close, we went to see what it has to offer. Projections on the Town Hall and some strange tent-like thing with people sitting in its niches were rather boring. We planned to go to the “Holes and dust” performance at the Arts Printing House, but missed it, because by the time we were close to there it was 40 minutes past midnight already.We decided to take a break and eat a kebab at Jokubo kebabine on Pilies str. It has been a kebab place for several years, but it seems that owners have changed. From what I learned, neighbours were very unfriendly and constantly tried to push the foreigners out of this old-town space by making false reports to hygiene authorities. Even if the authorities would not find anything wrong, working time and clients would be lost to the small kebab shop with only two employees. The place seems to be very popular now though. As we were waiting in a very long queue, we saw crowds of aggressive-looking youngsters shouting basketball slogans and something against the city of Kaunas. They walked around and stood by, shouting their slogans. I could see in the faces of the kebab shop staff that they felt uneasy about the youngsters’ decision to hang out around there. Who knows when such youngsters would turn their unused energy against foreigners. Just then I recalled not seeing any police anywhere in the old town. Maybe the police were hiding? But why would they, knowing that aggressive youngsters may easily take the opportunity to pick up fights on a night like this? The media reports 30 arrests for disruption of public order, but I’m not sure if this only means that people had to actually call the police if anything dangerous happened. Vilnius police is equipped with horses and segways. Their presence would have made people feel a bit more secure. On the other hand, if the police was around, it would have had to fine people who were drinking alcohol in public spaces. I am totally against the so-called police state and ubiquitous presence of the police in public areas. However, I do not see how Let It Be Night is different from, say, New Year’s Eve. There is a risk of street fight, and a need to be prepared. Perhaps the police was prepared, and the fact that we did not see it does not mean it was not there. In any case, seeing so many youngsters of that particular type (they are called ‘gezai’ in Lithuanian slang) made me feel uneasy for a while. What would happen if there was indeed violence? Fortunately, the youngsters were only shouting. As we walked on, someone from another group of drunken youngsters said an insult to an African student who was with us, but otherwise we did not encounter or witness any violence. Our next destination was the Cathedral Square, which promised a hip-hop improvisation. We did not see any of that, except for an amateur fire show. The State Small Theatre of Vilnius had promised shows in its front window all night long, but it was totally empty and dead around 1 am. We ended up at Fluxus Ministerija – a new cultural hub with the current mayor of Vilnius as its patron. Several floors of that office building were turned into venues for film screenings and performances, as well as artist residences. This initiative gave its owners, associated with the mayor, considerable tax deductions. Rumours have it that all the artists who have residences there were pressured to vote for the mayor’s party during the local elections, but I’m not sure anyone would say this on the record, let alone under their own name. This polician has a track record of shady transactions, but many people in Vilnius like him because of the initiatives that were mega-profitable for his cronies and useful to the general public. I do not boycott Fluxus Ministerija, as it hosts many great events, but I always feel it is a duty to tell some facts to people who admire it. There was a concert at Fluxus Ministerija, which appeared to be quite good. The lead singer had a strong voice, and the rhythm was just right for us at 2 pm. However, as it seemed that the events which promised to last all night ended much earlier, we soon split and went home. 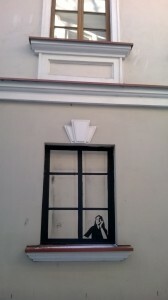 This entry was posted in Events and tagged cities, culture, nightlife, urban, vilnius on 2011-06-19 by Daiva.